Shapes and colors of flowers well preserved,great material for DIY craft project. - Material: Dried flower. - Perfect for craft DIY scarpbooking, greeting card making, house decoration, Jewelry making, phone case decoration and so on. Pressed flowers are real dried flower and air tight sealed. - Material: Dried Flower. - Shapes and colors of flowers well preserved. 12 Pieces Natural Dried Flowers. - Good for making greeting card, DIY your own phone case, and jewelry craft, also a good gift for your friends. Material: Dried Lemon Slice. - Perfect for craft DIY scarpbooking, greeting card making, house decoration, Jewelry making, phone case decoration and so on. - Shapes and colors of flowers well preserved;. Pressed dried real Chrysanthemum plants, well preserved;. 12 Pieces Dried Flowers. - Material: Dried flower. - Great material for DIY project. - Great for making greeting card, DIY your own phone case, and jewelry craft, also a good gift for your friends. 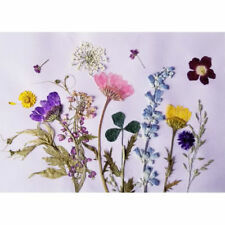 20 Pieces Natural Pressed Dried Flowers. - Shapes and colors of flowers well preserved. - Material: Natural Dried Yellow Flowers. - Great material for DIY project. - Made of natural flowers, thus each piece varies slightly in size and shape. Shapes and colors of flowers well preserved;. - Material: Dried flower. 12 Pieces Dried Flowers. - Perfect for craft DIY scarpbooking, greeting card making, house decoration, Jewelry making, phone case decoration and so on. Pressed dried real Chrysanthemum plants, well preserved;. - Made of natural Chrysanthemum, thus each piece varies slightly in size and shape;. 12 Pieces Dried Flowers. - Material: Dried flower. - Great for making greeting card, DIY your own phone case, and jewelry craft, also a good gift for your friends. Pressed dried real Chrysanthemum plants, well preserved;. - Made of natural Chrysanthemum, thus each piece varies slightly in size and shape;. - Material: Dried flower. - Great for making greeting card, DIY your own phone case, and jewelry craft, also a good gift for your friends. Pressed flowers are real dried flower and air tight sealed;. - Shapes and colors of flowers well preserved;. - Material: Dried Flower. 10 Pieces Pressed Flowers. Shapes and colors of flowers are well preserved,looked very vividly. - perfect for many things in life as decorations, good idea for gifts to family and friends. 10 Pieces Dried Yellow Flowers. - Made of natural yellow flowers thus each piece varies slightly in size and shape. Shapes and colors of flowers well preserved,great material for DIY craft project. 1 Bag Natural Dried Flowers. - Material: Dried flower. - Perfect for craft DIY scarpbooking, greeting card making, house decoration, Jewelry making, phone case decoration and so on. 10 Pieces Dried Pressed Flower. - Shapes and colors of flowers well preserved;. - Material: Dried Flower. 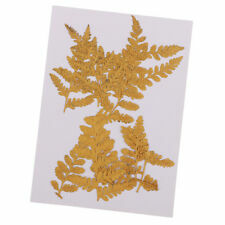 - Made of natural Flowers or Leaves, thus each piece varies slightly in size and shape;. - Perfect for craft DIY scarpbooking, greeting card making, house decoration, Jewelry making, phone case Christmas decoration and so on. 15 Pieces Dyed Round Natural Real Vine Rattan Ball. 15 Pieces Vine Rattan Ball. - Natural and unique design. - Material: Dried Flower. Made of real Amaranthus, thus each piece varies slightly in size and shape. - Material: Amaranthus. - Shapes and colors of flowers well preserved. 12 Pieces Dried Flowers. - Ideal for making greeting card, DIY your own phone case, and jewelry craft, also a good gift for your friends.